For those who are not familiar with listeria, it is a strain of bacteria that, if ingested by humans, can result in a serious infection known as listeriosis. This infection is generally only caused by eating foods contaminated with listeria. A person who is infected by listeria will often develop a fever and muscle aches. The victim will also typically develop diarrhea as well as other gastrointestinal symptoms. However, since listeria is considered invasive, the infection can quickly spread to other parts of the body. A listeria infection can be very harmful to pregnant woman and can result in a miscarriage. One of the reasons that listeria is such a problem is that it can survive being frozen. While freezing foods will kill many pathogens, listeria will simply go into dormant state and then be just as harmful when it is eventually thawed or eaten. 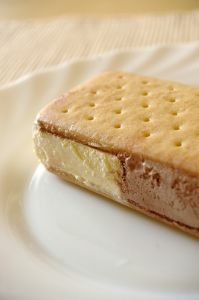 This is one of the reasons ice cream is still dangerous, since it is a frozen product that will contain live bacteria. However, there is another reason that ice cream and frozen foods can pose such a threat. This is because many people will keep frozen foods in their freezer for months at at time. When listeria is found in foods that are perishable, there is no risk of infections months after the recall, so it is easier to contain. As for this current recall, all of the products at issue were in pint containers only. However, as we saw with the last recall, it later became apparent that many more products were potentially infected and the recall was significantly expanded. The brands that were affected in this case are L.A. Creamery, Nancy’s Fancy, and Agave Dream ice cream sold as gourmet products. If you are injured as a result of food poisoning, you may have a valid personal injury lawsuit against any number of defendants. However, every case is different, and you should speak with an experienced defective products attorney as soon as possible to discuss the facts of your actual situation. There are several ways in which you may have a basis for filing a claim after food poisoning. In the case of a product you purchase in the store and eat at home, you may be able to file a claim based upon a breach of the implied warrant of merchantability under the Uniform Commercial Code (UCC) as adopted by the Commonwealth of Massachusetts. This may allow you to file claims against the store that sold the product in addition to distributor and manufacturer. This is not to say that you will get three times the amount of damages, but it could make the defendants fight amongst themselves as to who is more negligent, and this is always a good thing for your case.